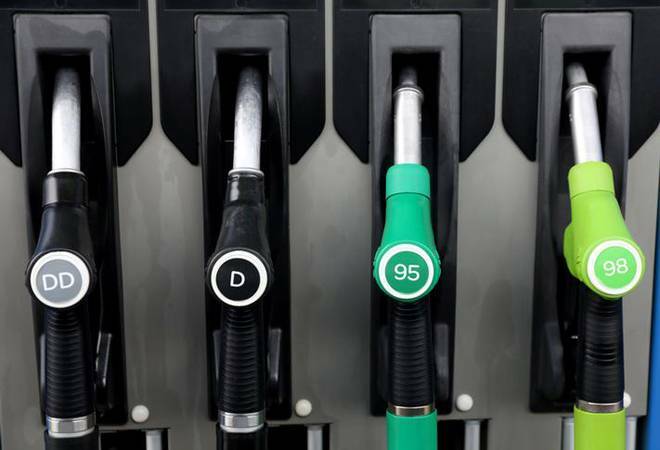 Petrol, diesel prices slashed for 5th day as crude oil trades below $80 a barrelPetrol and diesel have seen a decline of up to 32 paise for the fifth straight day on Monday as international crude oil trades below $80 per barrel on a bigger-than-expected gain in American stockpiles. Fuel prices started decreasing on October 17, and since then petrol has been slashed by Rs 1.09 in Delhi alone, while diesel has been cut by 50 paise. In Mumbai, petrol saw a reduction of Rs 1.08 in five days, while diesel has been reduced by 53 paise. Besides, over 400 petrol pumps will remain closed in the national capital on Monday. They are protesting against the Delhi government for not reducing the Value Added Tax (VAT) on fuel like many other states. Meanwhile, here are petrol and diesel prices across four major metro cities on Monday. Analysts suggest oil prices may surge after the US sanctions against Iranian oil export will come into effect from November 4. On Monday, Brent crude oil futures were trading at $79.88 per barrel, while US West Texas Intermediate (WTI) crude futures were at $69.31 per barrel, 19 cents above their last close. While the Organisation of the Petroleum Exporting Countries (OPEC) agreed in June to boost supply to make up for expected Iran disruptions, an internal document reviewed by Reuters suggested that OPEC is struggling to add barrels to the market as an increase in Saudi Arabian supply was offset by declines in Iran, Venezuela and Angola. The high dependency on the imported crude has dwindled India's macroeconomic position, which might get worse after the sanctions will be implemented. A glimpse of the effect of the high crude oil price can be analysed from the fact that a $10 per barrel change in the crude price results in 50 basis points impact on the current account deficit (CAD) and 30 basis points impact on inflation, said Kotak Institutional Equities in an August report.